Tails can show happiness, intimidation or invitation to play! Each day shows a new use and/or signal for the tail. The tails started wagging and moving more about 3 days ago. The most amusing is when the puppies are bobbling about on unsteady legs, when they meet.. the tail goes sky high! 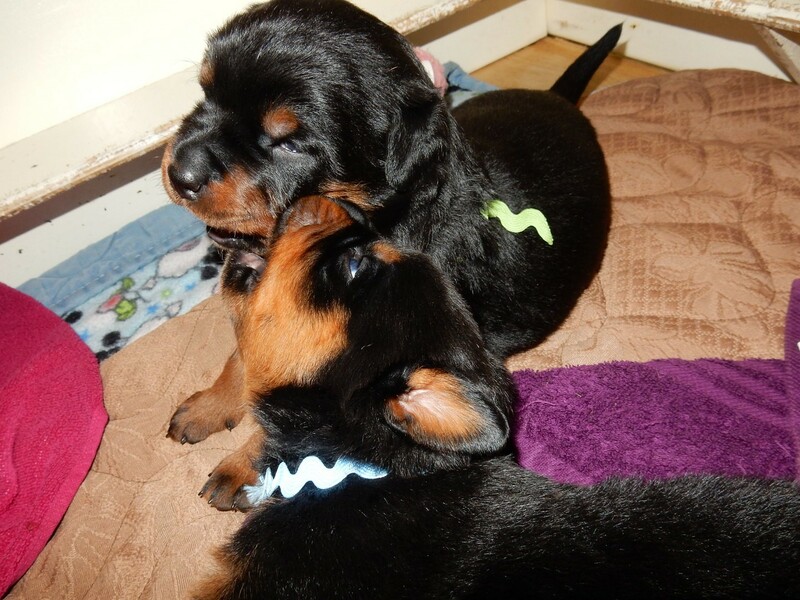 Once the puppies sniff, and engage in play, the tail tends to lower slightly. But it appears to act like a warning, to make the puppy look bigger and more intimidating and to show strength. It rather reminds me of two men 'chest butting' at a bar... 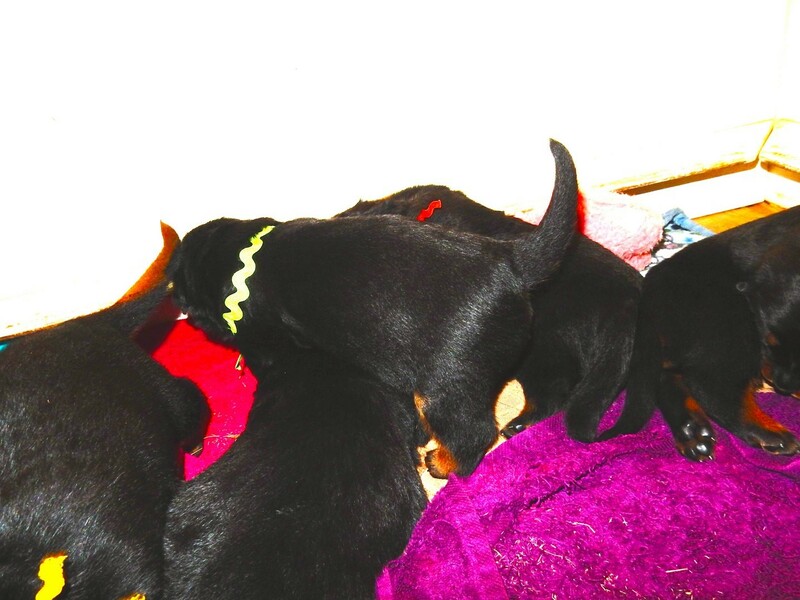 When the puppies all get up and toddle about, the whelping box becomes a 'sea of tails'! I have been told I won't really know the tail set until about 5-6 weeks. 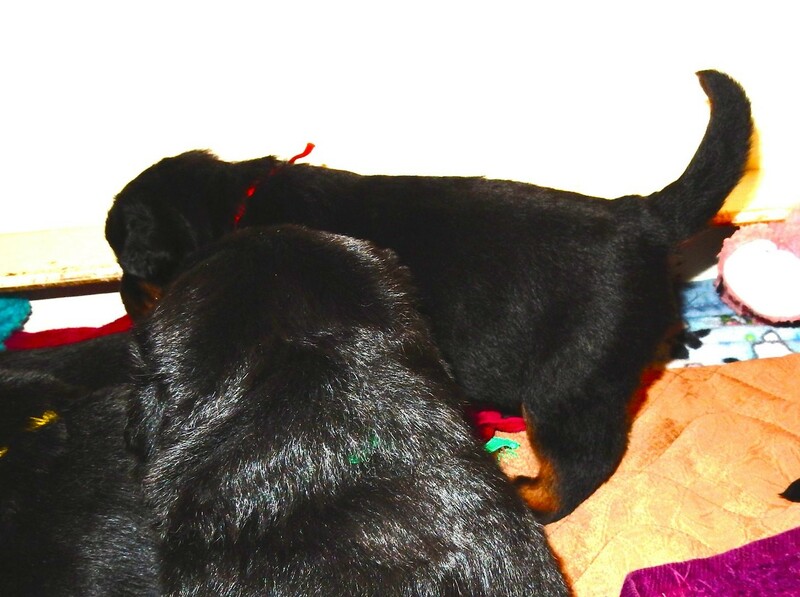 I am also hoping to get some clue about the puppies temperaments with their use of their tail during this time. I have noticed the puppies use the tails much more than I ever knew, and in more ways that I ever imagined! But the wagging tails are the best and most positive greeting I get, when sitting in the whelping box with them, it is truly a joy! 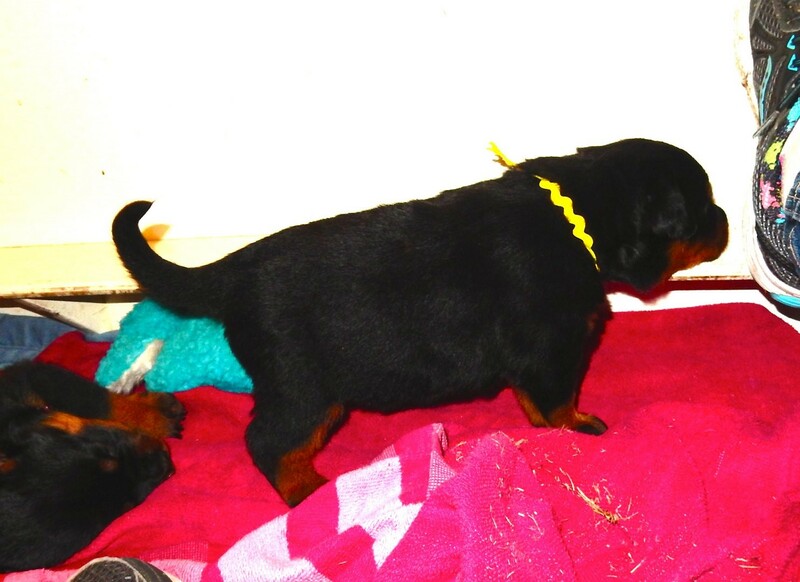 AND, the tail is used as a show of strength and certainly acts as a barometer of the puppies mood! Held straight out and rigid, and they mean business!!! Keep watching and reading, I will try to post at least once or twice a week, and thanks for following my adventure!